According to nature Middle East, 28 January 2015, there is an emerging new science in the Arab world. Arab scientists, after long absence from having independent advances in science and technology are gaining momentum again. As an example there are actively searching about the best sites for astronomical observatories on the MENA region. 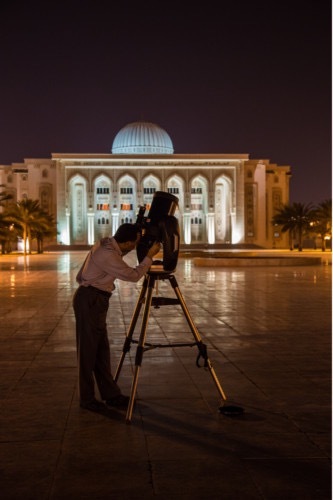 So Guessoum, a professor at the American University of Sharjah in the UAE, and two of his undergraduate students are identifying the most promising sites to construct an astronomical observatory in the Middle East and North Africa. A list of atmospheric, environmental and physical criteria for the construction of an observatory of international standards, are being used. Even in the best two or three locations, some factors need to be compromised and compensated for by technological means. This entry was posted in Education & Research, Environment & Climate, Human Resources, Politics & Infrastructure, Public Awareness, Technology & Industry on February 14, 2015 by farideldaoushy.